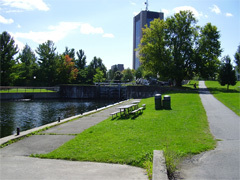 Carleton University is located in Ottawa, Ontario — Canada’s capital. It’s a medium sized University, in an urban setting, housing about 21,000 undergraduate students. 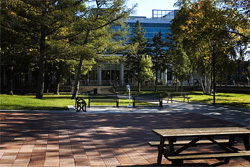 Computer Science is offered by Carleton’s School of Computer Science, and it comes in a Bachelor of Computer Science flavour. 4.5 year honours, or 4 year general. Computer Science at Carleton is organized into nine diverse streams so you can develop a particular expertise. With our specialty streams, you will be able to concentrate on an important area of computer science or you can choose one of our multidisciplinary streams in an area of increasing opportunity for computer scientists. All areas share a common core of computer science courses, including courses in programming, algorithms, software engineering, databases, and user interfaces. The offered specialization streams are: Computer Game Development, Network Computing, Information Systems Security, Software Engineering. I suppose Software and Computing Stream is the closest to the classical Computer Science program. There are also a few other multidisciplinary options to consider. Software and Computing offers the same core training as the other streams, but it is more flexible in the requirements. The first year is typical. There a couple of Math courses — Algebra and Calculus. There is Introduction to Object-Oriented Programming in Fall, but the material quickly picks up afterwards with Introduction to Systems Programming and Design and Implementation of Computer Applications offered in the second half of the first year. Object-Oriented introduction is in Java, but Systems Programming is in C. OOP is fairly standard: data abstraction, classes, inheritance, polymorphism. Other first year topics include: arrays, strings, pointers, heap and stack memory allocation and deallocation, iterative and recursive linked list manipulations, system/library calls. This might sound like a steep learning curve for those who have not previously studied computer science in high school, but the introductory courses should allow the room to catch up. Courses in later years also use C++, Scheme, and Prolog, so there’s some variety in the programming languages. The fourth year of Software and Computing is very flexible — just an Honours Project, Design and Analysis of Algorithms; all else is elective. Getting into Computer Science at Carleton University is straight-forward. Just Advanced Functions or Calculus and any other 5 credits, making up an average of 75%. It should be noted that Carleton does offer Computer Game Development, and students interested in that might want to research this further. Personally, I am jealous that their library’s cafe offers Starbucks coffee.